The Australian Bureau of Meteorology forecast for this summer is for a warmer and drier summer across Australia and particularly in Queensland and Northern NSW – which are already in drought. Total fire bans are already in place in some areas and previously major water supply dams which were full or at high levels have fallen significantly. After the millennium drought in the 2000s water tanks have become allot more common. Now there are around 26% of households that have a rainwater harvesting system installed. This on site availability of high quality water provides relief from water restrictions, saves water which would normally go into the storm water system or into the paddocks and helps the environment by reducing run off. This is not only good for the maintenance of the rainwater harvesting system but also for the maintenance of the roof. This is a simple cleaning exercise and involves removing all leaf and organic material from the gutters, downpipes, first flush diverters and leaf filters between the roof and the tank. Leaf and other organic material can block the system reducing its effectiveness and contaminating the water. This type of organic material may also block the pump and automatic switching device. Often strainers and/or overflows are removed which may allow sunlight into tanks causing algae growth, resulting in water discoloration and odour. The tank needs to be light resistant. Mosquito and animal proofing of the inlets and overflow outlets can be done by ensuring the mesh used in these inlets and outlets is mosquito proof. There is a need to ensure the pump and switching device is operating correctly. If the mains to tank water automatic switching device is blocked or not functioning correctly then there is a risk that town water is being used unnecessarily even if there is water in the tank. If the water is there it can be used. Typically household water tanks are just connected to the garden or irrigation system however if the water tank is connected to the toilets and washing machines the savings are often greater than from a garden system because they are used all year round. Rainwater tanks are a fixed cost and once the investment is made in a rainwater harvesting system then the more it is used, the more water and money is saved. 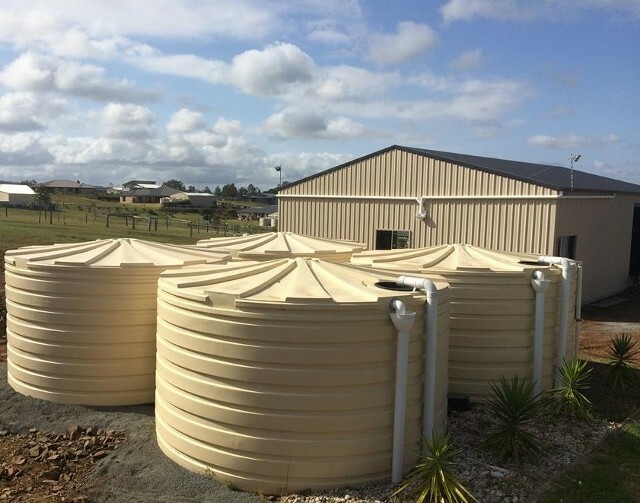 Water tanks and rainwater harvesting systems are extremely common in Australia with around two million people, mostly in rural areas, using water from tanks and drinking out of them every day. For more information on maintaining your rainwater harvesting system please and how to get the most out of your system visit our information page or phone Bushman tanks on 1800 008 888.